Enviromat Sedum Matting is a relatively lightweight solution to creating a living green roof on garden buildings and domestic roofs. Comprising seven species of drought tolerant sedums growing on to a patented matting system, Enviromat creates a wonderful habitat for invertebrates and with its long flowering period, helps support beneficial insects such as butterflies and bees. Enviromat is easily installed by a competent DIY’er or, for those not confident of working at heights, Q Lawns offers a green roof installation service. Meadowmat Wild Flower Matting takes the stress out of establishing a wild flower meadow in the garden. 34 species of native grasses and flowering plants are established on to a matting system that is simply unrolled onto prepared ground to create a dense sward of mixed plants. 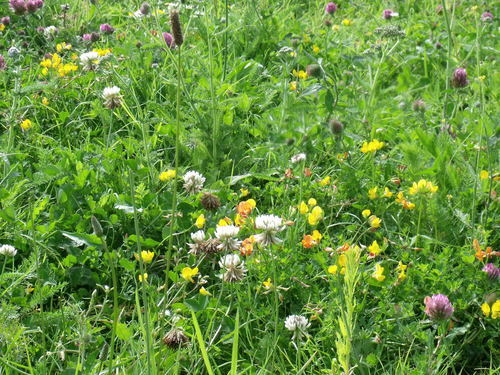 Depending on the time of year, Meadowmat may well be in flower just a few weeks after installation, providing a rich source of nectar for beneficial insects and a great hiding place for invertebrates, small mammals and amphibians. Meadowmat maintenance is simple and cost effective. Once established, the plants need minimal attention for six months of the year and only the occasional trim between October and April for neatness. This press release was distributed by ResponseSource Press Release Wire on behalf of Q Lawns in the following categories: Home & Garden, Environment & Nature, Construction & Property, for more information visit https://pressreleasewire.responsesource.com/about.